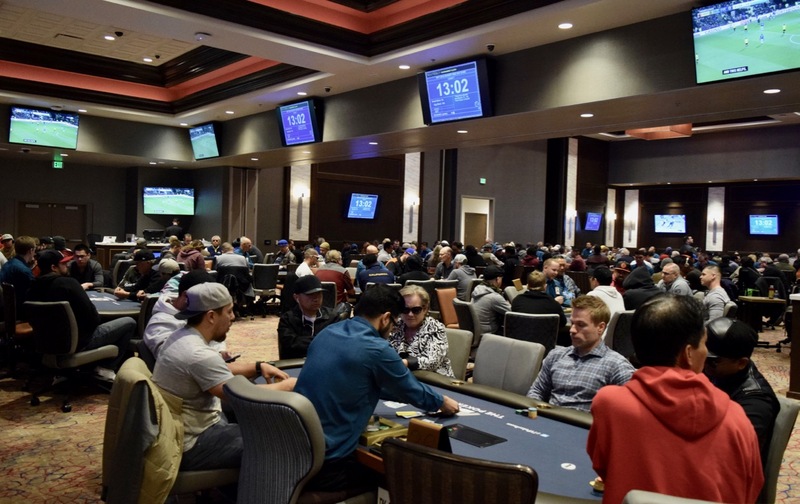 Welcome to the third and final starting flight in the $500,000 Guarantee @WPTDeepStacks $1,100 Main Event. A huge filed is expected, and the 169 already here for cards in the air shows just how big the day is going to be. Start with 25,000 stacks and play 40-minute levels all tournament long. Registration and a single re-entry is available until 7:30pm when Level 10 begins. Play concludes at 11:45pm at the end of Level 15. Those with chips at the end of Level 15 advance to Sunday's Day2Restart at noon, playing down to the final table of 9. Monday noon is the scheduled start for the 9-handed final table.